"Sathya Sai Speaks, Vol. XVII, Chapter - 27. "Sathya Sai Speaks", Vol. VIII, Chapter- 6. "Sathya Sai Speaks", Vol. XVII, Chapter ? 11. 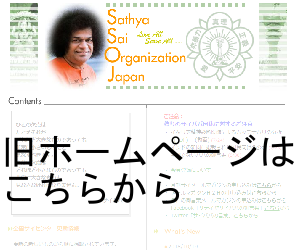 ⒸSathya Sai International Organization Japan. All rights reserved.